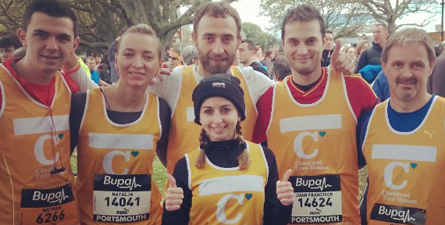 Running in support of Chestnut Tree House, a team of Linn Systems Staff completed the Great South Run in Portsmouth on Sunday. We want to thank you for your generous support of this worthy cause. The sponsorship money is going to the Chestnut Tree House, which is the only children’s hospice in East and West Sussex. They care for 300 children and young adults up to 19 years of age, with progressive life-limiting conditions from Sussex and South East Hampshire. If you would like to add to the sponsorship, please feel free to give anything you can afford using our Just Giving page.